Years ago at a different company, we would build a booth to exhibit our wares at the Moscone Convention Center in San Francisco for the Winter Fancy Food show. I had been actively involved in the design of the booth from inception and had worked it out to a science of time and manpower, finding that no matter how long we toiled or how well oiled our machine might be, set-up always took five hours. Of the food industry shows, I had lovingly dubbed Fancy Food as the chocolate, cheese and caffeine show. That moniker pretty much summed up the specialty aspect of the kinds of foods to be sampled. Time had let me learn the unsettling truth that if working the show and expecting to be nourished for lunch by booth samples, I would leave with a sugar high and tummy ache. Several years ago when I transitioned to my current job, that move took me out of the specialty food segment and planted me into the natural, organic category. This meant that instead of spending a Saturday locked in the football length of Moscone building a booth to exhibit at Fancy Food, I walked the show as an attendee on a Monday during office hours. What a different experience. Arriving early, I took my time scouring the booths for that brilliant combination of flavor and compelling design. I walked alone, taking my time to assess the booths row by row, letting my curiosity be piqued and stop me. After a while of working food shows, the need or belief of trying every morsel as an imperative gets quashed. Instead, the process of measuring stomach share to the need to nibble required the combination of listening to my eyes and stomach at the same time. I noshed on dried Black Mission figs at Valley Figs and snapped a chile chocolate square sample with my tongue at Poco Dolce. Getting to be on this side of the table provided me the freedom of taking the show in, in all of its enormity, at my own pace. Over the course of several aisles walked, I began picking up themes of product introductions, making mental notes of trends (hello artisan pickles!) curious to see how they might play out into the natural foods show in Anaheim a few months later. My boss, a fellow foodie, texted me with his key finds and I would text him with mine. At one point, we met up to walk several of the aisles together. I looked at him quizzically, but trusted his recommendation. We began winding our way toward a small table deposited into the side of an island sized company display. On the table, several samples of crackers lay neatly in rows. Each cracker boasted a smear of a glossy white cream with some topped by thin cucumber slices and others, a dollop of jam. The demo specialist guided us through a tasting, encouraging us to try the savory sample first and then the sweet. I selected a cucumber and labneh loaded cracker, bringing it to my mouth. My tongue swept across the labneh and found a consistency of crème fraiche, yet rich and slightly tart. I looked up at my boss, and caught him smiling at me as a wide smile stretched across my face. Who would have thought in a football stadium full of foods so rich and decadent that the very thought of them might give me a toothache, I would find something to satiate that desire for rich, creamy flavor with the benefits of probiotics? Labneh certainly stood out as one of my favorite discoveries from Fancy Food. 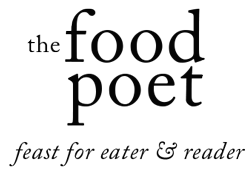 After the show, I began prowling local natural food stores and Whole Foods stores. Looking for the familiar blue and white tub in the refrigerated dairy section resulted in several thwarted attempts. My search for labneh might be the search for the Holy Grail. And then, one day, I found those cheerful tubs tucked in the fridge at a Vietnamese market. Success! My affinity for kefir caused me to ask that fickle question and let my curiosity consider the consequences of playing the question out to its inevitable end. “I wonder if I can make housemade labneh from the kefir I drink daily,” I mused. And like that, I set off to make a discovery in my kitchen, no tradeshow badge required. 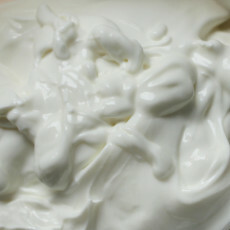 Labneh, kefir cheese, is often served along with pita bread triangles as a dip in Middle Eastern countries. Sidle a small plate of labneh the next time you plan on having hummus and baba ghanoush as appetizers. Just add a drizzle of olive oil, a dash of salt and paprika sprinkled atop. In Palestine and Jordan, they incorporate labneh into breakfast. And it makes a fine stand-in when dolloped in place of sour cream. 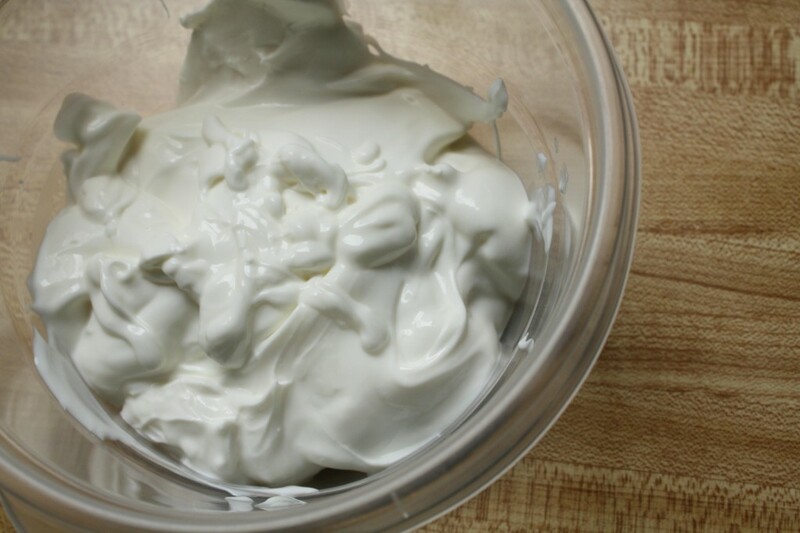 I find labneh makes a delicious flourish and has a multitude of applications. Take a plate of toasted crostini. Add a smear of labneh on them with a spoonful of fig tapenade atop and you’ve got an easy unique appetizer. 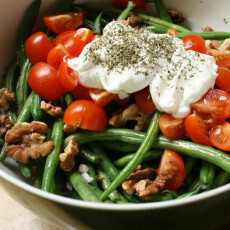 Or spoon some onto a simple Green Bean Salad with Toasted Walnuts and Chervil. Recipe is forthcoming. Making homemade labneh is very easy and requires the shared skills of patience and negligence. You want to check in on your kefir daily to see how it’s doing. I find inserting a toothpick or the tip of a spoon helps ascertain how thick the mixture is, but really you just want to leave it alone and not jostle the bowl. An important note about labneh is to make sure to keep it from heat as that will kill any probiotics in the kefir cheese, if that’s your reason for eating it. Also, keep the liquid whey leftover and separated from the labneh. Use it to soak grains, to make lacto-fermented pickles or a dozen other uses and ways to keep the discovery process going. Place a colander in a large bowl. Line the colander with cheesecloth. 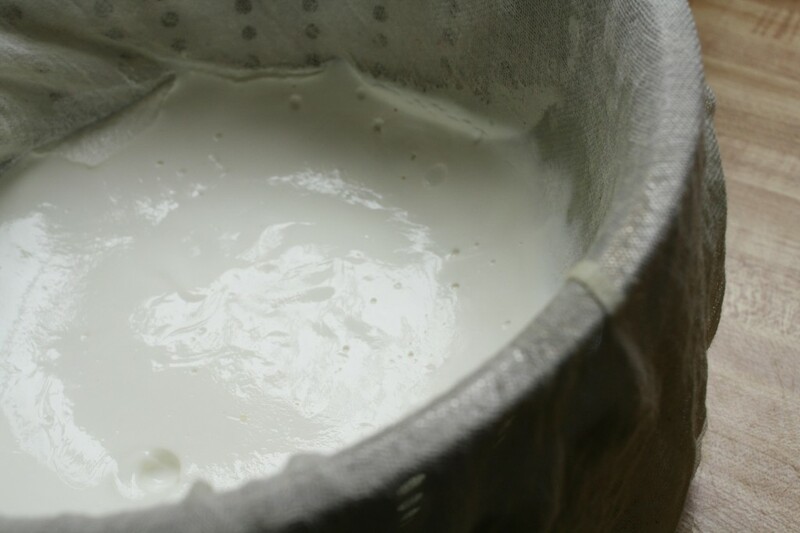 Pour the kefir into the cheesecloth and transfer bowl-colander-cheesecloth-kefir carefully to the refrigerator. Let set for 5-7 days. The longer you let it set, the thicker it will become.